Want a surefire cure for loneliness? It may be simpler than you think. 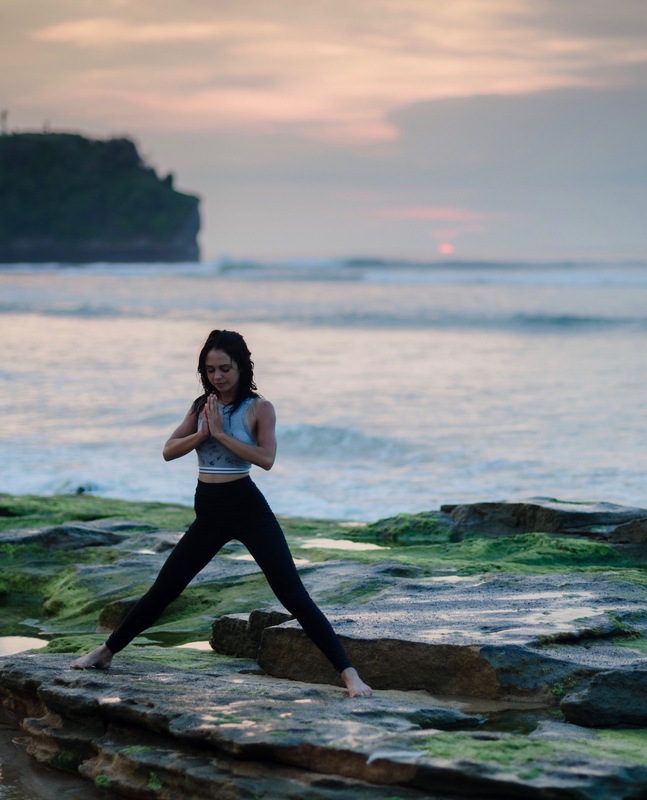 This special technique gleaned from my clinical practice works like a charm. You can try the same proven strategy I've used with clients for years. 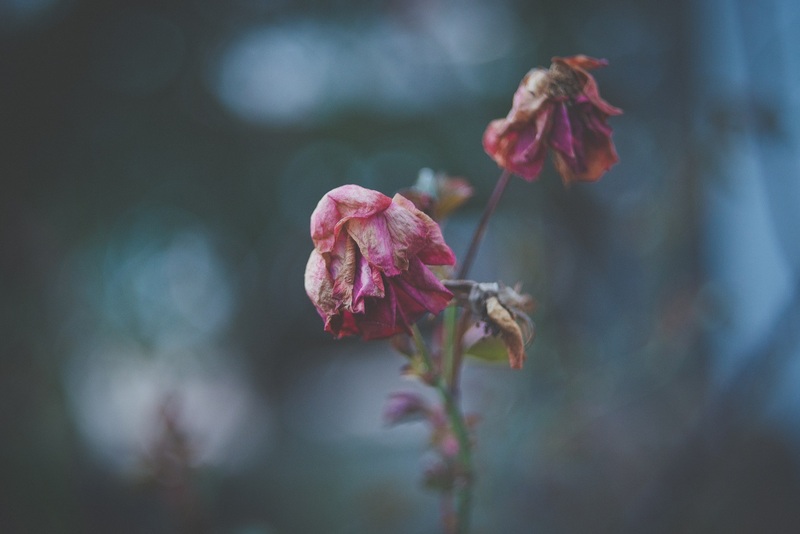 Ever get so lonely you feel like a wilted flower? Loneliness takes a toll on the body, mind and soul. Loneliness, especially chronic loneliness, is a real burden. It makes us more prone to depression and anxiety. And loneliness may affect our work, family and love life. You can even be lonely in a crowd or marriage. Loneliness seems to be a bigger problem than ever in an age of disconnection and isolation. Loneliness is caused by many things. An easy way to think about is this . . . people build walls, and walls make us lonely. Why? Because they keep people out. So, a cure for loneliness that works like a charm is to tear down your walls and open up your inner space. Sometimes we build walls without realizing it. Other times we build walls intentionally. We may want to keep others out, protect ourselves or avoid unwanted interactions. Once we erect a wall, it has a tendency to stay in place, until we take it down, as an act of will. Some people build so many walls they can't be reached or affected by anyone. Sealed in their compound, they remain in hiding for as long as necessary. Or even longer. The bigger and tougher your walls, the harder it is to bring them down. The main problem with these psychological walls is that they can make us lonely and unhappy. Fear can be a huge wall or a dead end. Fear can seal us in an early grave. So can the lack of appropriate fear. The fear of rejection is certainly a big wall to overcome -- one that sometimes keeps people lonely. Guilt can be a burden like a mountain or it can feel like chains around your heart. False pride and narcissism are walls that tower over us. Low self esteem may shackle a good person and keep them living beneath their potential. That's why a cure for loneliness is to improve one's self esteem and self-concept. Walls make it harder for people to be around us, or to enjoy our company. We all have at least a few walls. But too many puts you in a defensive position. Too many walls can be crippling. When I am working with a client who is suffering from loneliness I ask try identify the walls that are blocking him/her from a happy social life. Then we work together on smashing through the walls, a sure-fire cure for loneliness. When we break through a wall, opportunities for connection open up. New possibilities for happiness emerge. 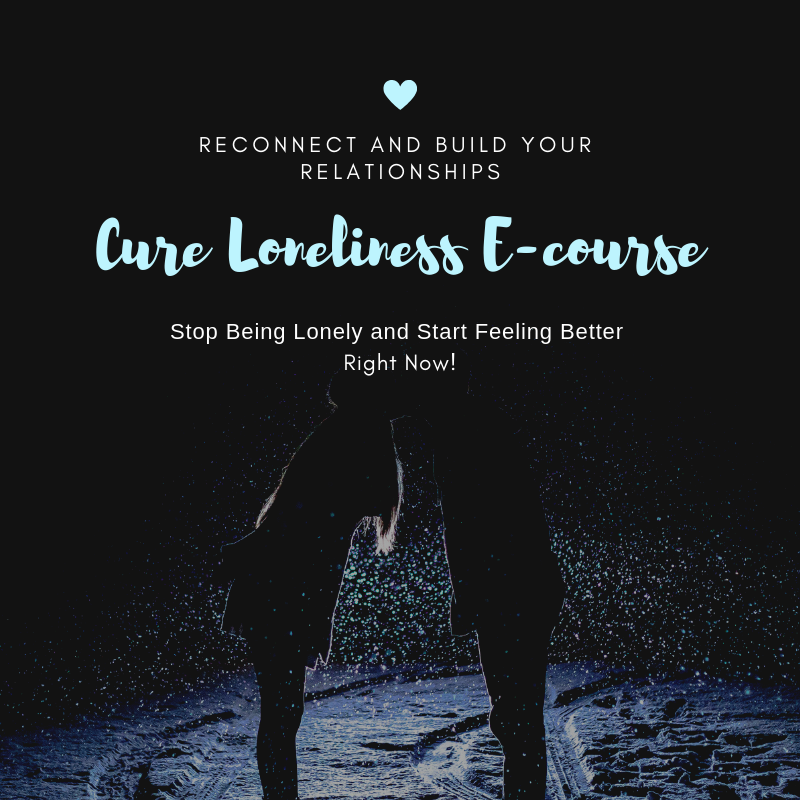 Our new Cure Loneliness e-Course will help you to do that very thing, and to learn the proven strategies and skills you'll need to break the chains of loneliness and to reconnect with the people in your life. 1. Think about any walls you may have inadvertently or purposefully put up around yourself. 2. Ask yourself if you really need them. Seek permission from within yourself to break some walls down. 3. Imagine what it would feel like to live without so many walls. How liberating and relaxing. How exciting. Once you decide to remove a wall, for example, the wall of stubbornness or the need to be right all the time (walls that repel friends, colleagues and loved ones), devise a plan to dismantle the wall, one piece at a time. 4. Go slowly and let some light in. Notice how good you feel as the air circulation improves (or the sense of inner space and the lightness of being. 5. Take a big step and reach through the crumbling wall or a hole to the outside and try to touch someone. Connect in any way that feels right to you. 6. Follow your dream for a better life, getting closer to others, and fly like Jonathon Livingston Seagull (from Richard Bach's book). Give yourself time to adapt to the excitement and fear of new experiences. But keep going. Press against your doubts and misgivings. Never give up. 7. Let love be the answer and guide you in everything. Always think about the consequences of your actions, both long-and short-term, before you act. 8. Be yourself and people will like you. They'll trust and respect you, too. We are always drawn to someone who is comfortable in their own skin. 9. Apply the cure for loneliness in every area of your life: tear down the walls and let the sunshine in. You'll feel better and enjoy life more. And you'll like yourself more. 10. Enhance the all-important relationship with yourself. Restore trust, if its been damaged or lowered, by living honestly and courageously, and by following through on your personal goals. Make the changes in yourself that you know you should make to become a better person and relationship partner to others. 1. Accept constructive criticism when it's offered -- accept it without being defensive. Use it to improve your behavior. 2. Thank people for sharing their thoughts and feelings, with you and for offering their feedback. 3. Listen respectfully, even when you don't agree with the speaker's opinion. 4. State your opinion in a way that's respectful of different opinions and perspectives. 5. Do little things for others. 6. Express yourself and let others know you. 7. Be the change you want to see in life. 8. Express your gratitude to others for being there for you. 9. Be there when you are needed. 10. Stand up for good causes. Take a few moments each day to care for yourself. It'll be easier to see the good in the person you are and long to be. Seeing yourself as a good person who wants to give and receive love is a great cure for loneliness. It's so easy to adopt a negative view of yourself when you feel lonely and sad. You don't have to be perfect to be loved. You don't have to be perfect to get your own self-respect. When you focus on finding the good in others and yourself, it's so much easier to overlook the flaws and imperfections, which everyone has, and to get free from the chains of loneliness. Divorce can be hard on the kids, but not nearly as hard if you and your spouse agree to work together. Read more about taking a positive approach to divorce here. I have helped some of the loneliest individuals recover from their problems and learn how to make new and lasting connections in a world that is becoming lonelier and lonelier with each passing year. And I can assure you there's hope. There's a solution for every problem. A great way to overcome loneliness is to have a little old fashioned fun. Take a romp on the beach, go for a bike ride or throw a surprise party for someone. You don't need a reason, but the desire to enjoy life and cherish healthy relationships. Feeling Lonely? Find a Way to Have Some Good Old Fashioned Fun. In fact, if you look closely enough, you'll see there's a solution hidden in the hands of each and every problem you have. But, only those who know to look at the problem in a creative way will find the hidden solution. Even issues like shyness, anxiety and depression can be improved, and you'll find this and more covered in my new Cure Loneliness course. Study from the privacy of your own home. You'll get one lesson a day for 14 days. The Cure Loneliness Course will help you to change your life in simple, but dynamic ways. A tip from my private counseling practice: many people believe loneliness is a sentence they can't escape or do anything about. 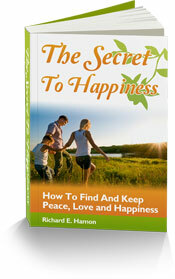 But, the truth is, there are numerous anecdotes for loneliness, and loneliness can be cured. Just believing is a good beginning. Tear down some walls and you'll feel better. You'll be happier and less lonely. Soon a new you will emerge. Like a butterfly from the chrysalis. And your best, less lonely life will follow. Build great relationships and you'll lead a happy life. Read our article on the best ways to improve your all-important relationships.